April 5, 2019 April 5, 2019 Pesso's IcesLeave a Comment on There’s a Rainbow (Ice) waiting for you at the end of the Rainy Day! Ask for a Squeeze cup for maximum portability and nostalgia! There’s a Rainbow (Ice) waiting for you at the end of the Rainy Day! Ask for a Squeeze cup for maximum portability and nostalgia! There’s a Rainbow (Ice) waiting for you at the end of the Rainy Day! Ask for a Squeeze cup for maximum portability and nostalgia! Previous Did you know that when we make our Ices & Ice Cream in the back of our store, we mix in toppings by hand? That’s just one of the many things that makes Pesso’s better than the rest! 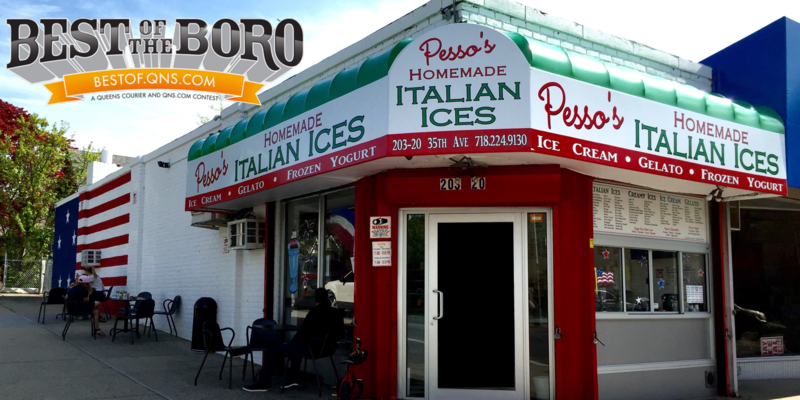 This is Pesso Jr. mixing in Peanut Butter Cups into our delicious Italian Ice! Next When you play the Game of Cones, you win. Try our brand new #gameofthrones inspired Ice Cream, Game of Cones, while it lasts! And stock up on Pints for your Final Season viewing parties!